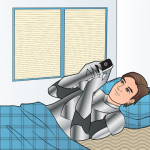 To text, or not to text? That is the question, and we have the answer. Take a look at the pros and cons of taking the lead and being the first to press send after the first date. Deciding who should text after first date can be a real ordeal. Instinctively you want to text the person you just met so you can learn more about them, or even set up date number 2. But then, things get complicated. You start worrying about how your communication might be interpreted, and you begin to doubt whether your date actually went as well as you thought it did. Did she have a good time? Does she like me enough to actually want to see me again? What if I’m rejected? What if I come off as too eager or, even worse, as needy? These are all valid questions, and they can leave you so confused and distraught that they may even discourage you from pursuing what could otherwise be a worthwhile and fulfilling relationship. But don’t fret! Figuring out who should get the ball rolling doesn’t have to make you crazy, and, by the end of this article, you’ll know what to do. One of the strongest reasons for a guy to take the lead is confidence.  By texting first, you can create the impression that you are someone who goes after what he wants without hesitating. Appearing confident and self-assured, rather than hesitant and indecisive, makes it easier for a girl to see you as someone who is likely to be successful. Showing a girl that you are not afraid to go after what you want in relationships will lead her to believe that you are just as bold and determined in other areas of your life, which is definitely a good thing, since most girls want to be with a guy who can confidently achieve his goals and who isn’t too timid to be straightforward about what he wants. This gesture assures a girl that you find her attractive which, in turn, may make her more comfortable around you. Keep in mind that she is probably just as confused as you are about who should fire first. If you aren’t sure if she likes you, she probably isn’t sure if you like her either. So, choosing to take the lead is a great way to dispel some of her doubts. Many times once a girl knows that you like her enough to want to see her again, she is likely to be more open around you, which is great, since honest and uninhibited interaction is essential for any meaningful relationship. Go for the low hanging fruit! that all so important text after first date is an easy way to show her that you are independent and know how to take control. 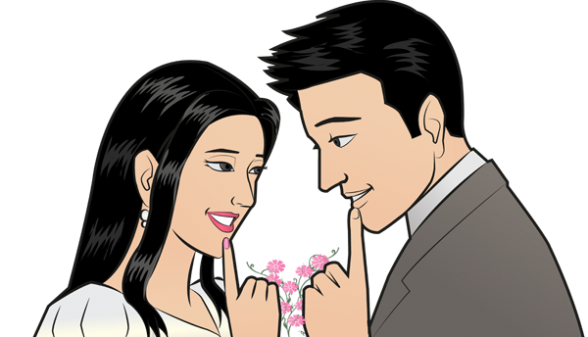 Many girls like to be courted, and there is just something romantic about a guy who can take the lead in a relationship. By initiating communication, you send the message that you are willing to put effort into a relationship, and that you don’t need someone to tell you what to do. In many cases, showing a girl that she won’t have to wait around for you to take action makes you seem more responsible and desirable. One of the most common reasons guys hesitate is that they are afraid of scaring the girl away by seeming too eager. Such concerns are valid. After all, just because she enjoys a date does not mean she is looking for any sort of long-term commitment. Even though they may not want to admit it, many people are afraid of new relationships, no matter how much they profess to want them. There are also serial daters out there who are always looking for the next best thing. If a guy texts a girl too quickly, she may overestimate the intensity of his feelings or become overwhelmed by how quickly things seem to be progressing. How can you avoid this? By not sending a message that is too intense. Try to be positive, friendly and flirty without putting too much pressure on her to reciprocate your feelings immediately. Being the first to hit send can also make a guy seem needy, which is a turn-off for many women. If a guy is too fast to send a text after first date, the girl may begin to worry that he is clingy, lacks independence or, even worse, is overly-possessive of the people he dates. Remember, girls want to know that they are desired without feeling suffocated. Another con of being first up at the plate is that it may prevent her desire for you from intensifying. That is, if she is forced to wait for your text she may view you even more positively than she would otherwise. They say distance makes the heart grow fonder, and there is a reason so many. Appearing slightly aloof can, at the beginning of a relationship, increase your attractiveness. However, playing hard to get too long usually back fires and you may lose your chance at something special. So, should a guy be the one to text a girl after first date? Well, it depends. Really. Every man, woman, and relationship is different. Whether you text first will depend in part on your personality, her personality, and the dynamic between you. There is no one way to start a relationship, but that’s ok. In fact, unpredictability is part of what makes new relationships so exciting in the first place. When you first meet a girl, try to gauge whether she is the sort of person who would respond well to a guy showing initiative by texting first. If a first date goes well and both parties clearly have a good time, you probably don’t even have to worry about scaring someone away by texting first; if she likes you, she’ll be thrilled by your confirmation that you like her too. Remember, whether a relationship is casual or serious, it isn’t a negotiation: communication is important and talking (or texting) first doesn’t necessarily put one at a disadvantage. If you really want to keep in touch with someone or want to go on another date with them, just tell them. Being genuine goes a long way in life and relationships alike. On the other hand, if you just aren’t sure about whether you click with a girl, or you really don’t think that she’d want to see you again, go ahead and wait for her to text you if that’s what makes you comfortable. No matter what you do, try not to stress next time you are faced with deciding who should text first. What’s meant to be will be, and though relationships can be complicated, they do have a way of working themselves out.